Dumbledore's Army Readathon is hosted by Aentee at Read at Midnight. 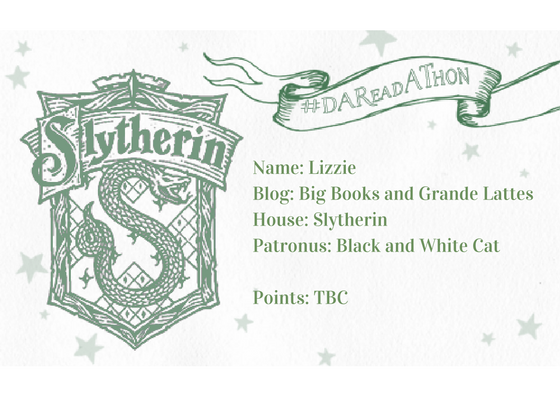 Because I'm a complete mess, I haven't gotten around to sign up for this until now, two days into the readathon. I'd like to blame it all on finals and the holidays, but I'm more than a little forgetful. I wanted to sign up for this for two reasons. The first is because I LOVE Harry Potter. It's one of my favorite book and movie series, and I am a proud Slytherin. The second is because, to be completely honest, I haven't read many diverse books. This is one of my big goals for this year: Read more diverse books. This has also made me realize that my local library has a very small selection of diverse books and books by #OwnVoices authors. Hopefully I'll find plenty of books to suggest to them! Fortunately they do have a few, and I also had a couple books on my book shelves that fit the criteria! As a dancer, it makes me so happy to see dance, specifically ballet here, to be the focal point. And it also shows the dark side that can come with dance, such as mental illness and the lack of diversity. None of the books I've read have featured a transgender character, so I've been looking for books that have a transgender person as a main character. I've also heard that the writing is beautiful! I've heard great things about this book, and time traveling intrigues me, especially after reading Ruby Red and Passengers. Plus Heidi's twitter is amazing and she's done a lot supporting other diverse authors. This book features a Chinese musician and a runaway slave heading to California in the 1800s. I was surprised that I really enjoyed Vengeance Road and have been wanting to read more Westerns. I've heard a lot of glowing reviews for this book and I decided that I finally had to read it. I also like that it features a character who's trying to find happiness and figure out who is. The ending of Six of Crows pretty much killed me, so this book I'm definitely reading first. I'm just hoping it doesn't break me any more than the first did! When this book came out, it was all everyone could talk about. I ordered it on Amazon Prime Day and it's been sitting on my shelf since then. It features Indian mythology, something that's new to me, and pieces of the myth of Hades and Persephone, a story that I love! And here's my badge I'll keep track of my points with! Let me know what you thought of all these books and what you plan to read! Wish me luck!